The importance of keeping your dogs on a leash and carefully watched is underscored by a Washington law. Washington law for marauding dogs requires an owner of a dog that kills a domestic animal to kill the dog within 48 hours of learning of the dog’s guilt. Failure to do so could result in criminal charges, including fines and even jail time. The same law allows the Sheriff to kill a dog found to be running at large if it is without a metal identification tag. To keep your dog(s) safe, be sure they are properly tagged, and leashed and/or carefully watched. The following is the Washington law for marauding dogs. RCW 16.08.030: Marauding dog—Duty of owner to kill. A Spokane dog bite attorney can get you the compensation you deserve from a negligent dog owner after being bitten by a dog. 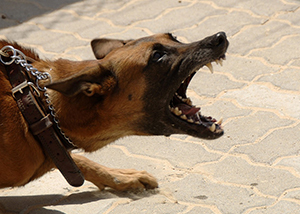 If you’ve been injured by a dog bite, contact the experienced dog bite injury attorneys at Parke Gordon Law Firm in Spokane to review your case for free. We can usually tell you over the phone if you have a good case. Call (509) 482-7274 now to get started.